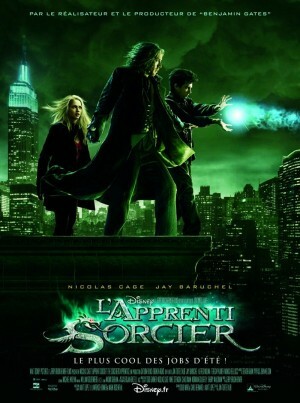 Movies about magic and magicians do not necessarily need to deal with the fantasy world of storybooks and legends. There is much substance for intriguing narrative present on an illusionist’s stage as in the hallowed halls of Hogwarts. Of course, as with any movie, magic is only a part of the movie, but nevertheless an essential part that not only stitches the plot together but also brings it mystery and thrill. Here is a list of some good movies involving magic and magicians. Enjoy! 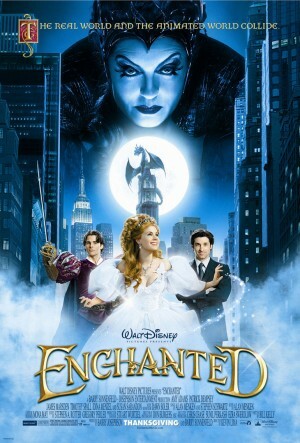 This is perhaps the only Disney movie where classic fairytale meets temperamental reality when Princess and bride-to-be Giselle (Amy Adams) is expunged by a magical spell into the downtown traffic of the alternate universe of modern day New York City by the evil Queen Narissa. It is here where she meets the lovable lawyer Edward Philips (Patrick Dempsey of Grey’s Anatomy fame) who tests her storybook romantic notions in real life. The film is a fantasy, romantic, comedy musical which is, as its name suggests, replete with a touch of old-school magic – poisoned apples, true love’s kiss and all. 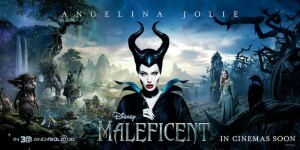 Another movie that retells the 1959 classic tale of ‘Sleeping Beauty’ is the Angelina Jolie starrer Maleficent. The movie tells the untold story of a misunderstood villain, the vindictive fairy who cursed Princess Aurora into eternal sleep. Jolie carries the movie entirely on her shoulders as her character oscillates between the peace loving, strong winged young girl who falls in love with a peasant boy to the vengeful protector of the land who is betrayed by her true love. In the epic battle that ensues between the magical creatures lead by Maleficent and Stefan’s kingdom of humans, the new born infant Aurora is caught in the cross fire. But as the child grows, she elicits more than hatred from the vindictive fairy; and the ‘fairy godmother’ realizes that this pure-hearted Aurora (Elle Fanning) is the key to her and both the kingdoms’ redemption. 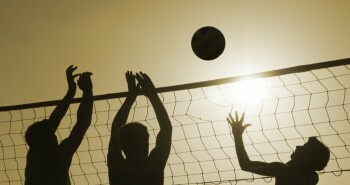 A touching tale of womanly heroics, Robert Stromberg compels you find the good in the bad. Asa Butterfield is brilliant as the twelve years old boy who lives alone in the walls of 1930s railway station in Paris and steals food to get by. 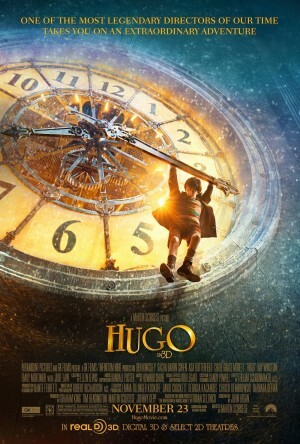 Torn from a loving watchmaker father upon his death, and forced to repair clocks for his alcoholic uncle, Hugo devotes his time to working on his father’s last project: repairing the automaton, a mechanical man who can write. Desperate to figure out if his father left him a message in the automaton, he adopts dubious measures to obtain the parts he needs. It was during such a theft from a toy shop that he meets the owner’s daughter, Isabelle, who decides to help him in his project. Together they go on an adventure with a key that will reveal to them a secret from a magician’s past. Adapted from the book, The Invention of Hugo Cabaret, Martin Scorsese brings innocence to the elegant narrative. In Don Scardino’s world, Steve Carell, Steve Buscemi and Jim Carrey are the new magicians in town. Well, not all of them. 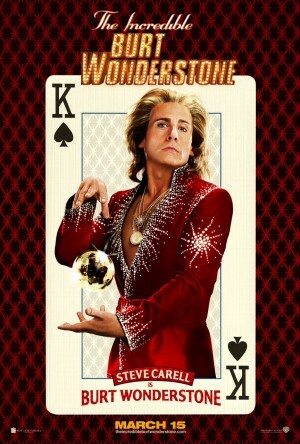 Burt Wonderstone (Carell) and Anton Marvelton (Buscemi) have been around Las Vegas for ten years, ever since a birthday present changed their lives and pushed them towards success in a world of magic and trickery. However, with success, comes Burt’s ego; and things go awry when their acts begin to fail. Their friendship suffers and they go their separate ways until they are reminded of why they became magicians in the first place. Anton and Burt have to set aside their differences and reunite to take on the up-and-coming street magician in Las Vegas, Steve Gray (Carrey) and win back their fame, contract and assistant Jane. A true comeback story, the move serves up goofy laughs with Carrey’s performance. A tale of magical legacy, Jon Turteltaub directs a fantasy adventure full of drama and action as Nicolas Cage (Balthazar) searches over centuries for the true successor of Merlin, who will not only inherit his powers but also destroy the evil forces of the sorceress Morgana le Fay (Alice Krige). Much like the famous Potter, Dave Stutler (Jay Baruchel) is a Physics student at NYU who finds himself chosen by Merlin’s dragon ring for a destiny he is not prepared to undertake. Balthazar must fulfill his promise to his master and train the Prime Merlinian to combat the evil forces that Horvath (Alfred Molina) is about to unleash. A gripping tale of two wizards who are pulled between their duty to their masters and the women they love, it takes Merlin’s magic and Tesla’s physics for good to defeat evil. 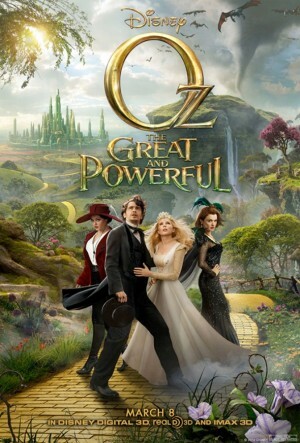 James Franco landed the lottery with Sam Raimi’s retelling of the famous fantasy adventure of the Wizard of Oz. As a small-time magician and con, Oscar Diggs (Franco) is swept away from Kansas into an enchanted land, where he is mistaken for the great wizard who was prophesized to have come to relieve them from the clutches of the Wicked Witch. The unsuspecting Diggs finds himself caught in a fight between three witches with all of Emerald City’s hopes pinned on him. With the help of Glinda, the Good Witch and his friends, Oscar devices a clever plan to throw the evil Evanora from her throne. 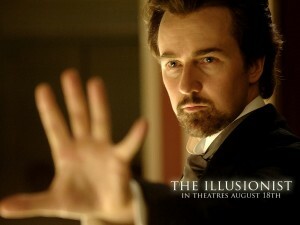 Neil Burger’s Illusionist is a cleverly crafted and well told story of a magic, mystery and intrigue that takes place in centuries old Vienna where a cabinet-maker’s son, Eisenheim (Edward Norton) falls in love with a rich man’s daughter, Sophie (Jessica Biel). The story takes dark and dazzling turns as the personal life of the protagonist methodically follows the dazzle of his on-stage illusions in the pursuit of his life’s true love. Great acting and direction come together to form an intelligent and mystifying visual treat. 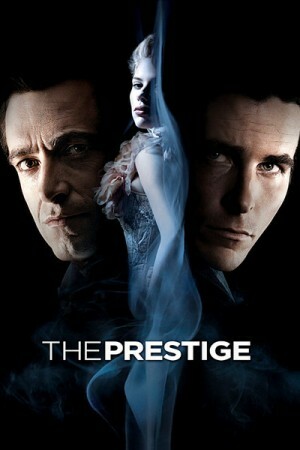 Another amazing movie from the same year, The Prestige deals with the rivalry between two magicians, Robert Angier (Hugh Jackman) and Alfred Bornan (Christian Bale), who constantly try to botch each other’s careers and personal happiness with occasional help from Nikola Tesla and Thomas Edison. 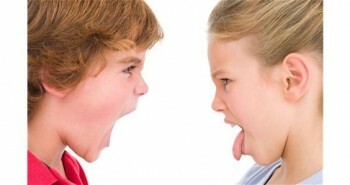 As both men rise in fame, their hatred and vengeance towards each other only increases, as they each outdo the other’s attempts to destroy his life. Full of twists and turns, the movie reveals a web of deceit and secrets that has terrible consequences for both the protagonists. The obsessive storytelling is only outdone by Jackman’s and Bale’s outstanding performances. An unknown force brings together four street magicians and con men in an ambitious series of bank heists where the offenders use illusions and misdirection to conduct the robbery during their performances and distribute the money among the audience. The FBI and Interpol are hot on their trail but they can’t apprehend without evidence. In steps another magician who helps the police undo their tricks but the Horsemen still manage to stay ahead of the law. A bustling tale with an extraordinary amount of twists, Now You See Me has a touch of Ocean’s 11, but is somehow darker and trickier. 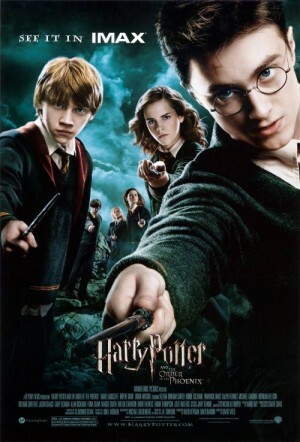 J. K. Rowling’s award winning, world-record setting series on the boy wizard of Hogwarts has been turned into a set of eight movies, which follows the journey of Harry Potter (Daniel Radcliffe) and his close friends, Ron Weasley (Rupert Grint) and Hermione Granger (Emma Watson) as they conquer the world of magic, make new enemies and allies and defeat the Dark Lord. The series has brought the dark and mystique world of magic worldwide recognition and hero-worship. It makes it a class of its own, with a cult following that encumbers the old and young alike. There is not much that can be said about Harry Potter that one doesn’t know already.